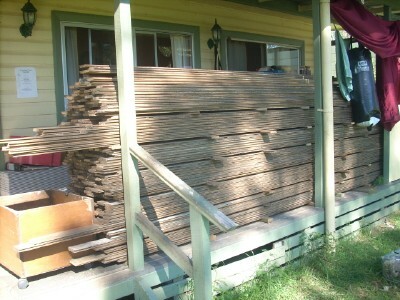 Monday last week we received a phone call to say the timber salvaging needed to be finished by the weekend and all timber removed. As we had plans to be away for the weekend we were in at the School this week working from 4pm until 8.30pm each night. 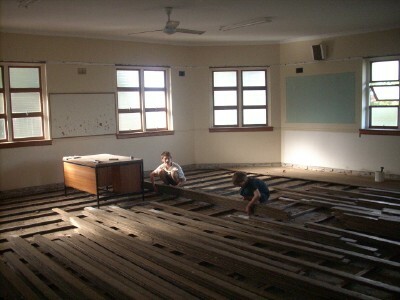 Flooring still had to be pulled up. 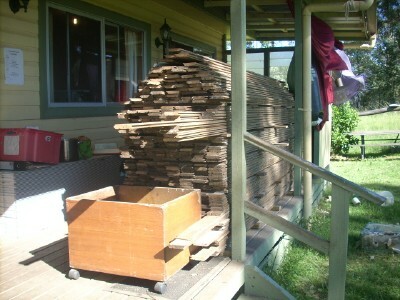 Timber had to be carried into the end room and sorted into size piles before exiting the window. 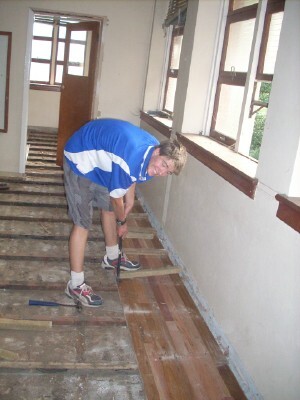 The boys were troopers and put in a couple of hours each day before PC arrived after work to help. Koala was an invaluable part of the team as chief babysitter. 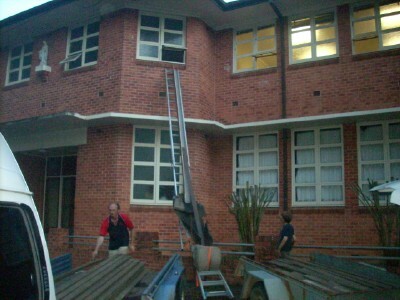 We slid the timber out the window to the waiting trailers below. At first we weren’t sure if we could make the deadline but by the third night we started to hope we just might. 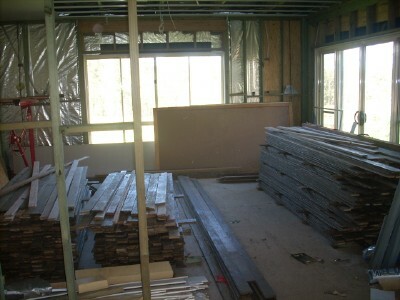 where is will be wait until we lay it in the new house. Shorter lengths await in the Games Room. We are very grateful to have this job behind us and completed.